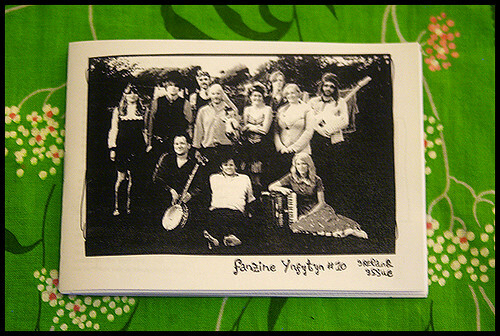 This one’s about my road/rail/boat trip to Co Cork in Ireland in the September of 2009 with a 11 piece country band called Dolly & the Clothespegs. Features midnight ferry rides, colcannon and wonky Dolly Parton covers. 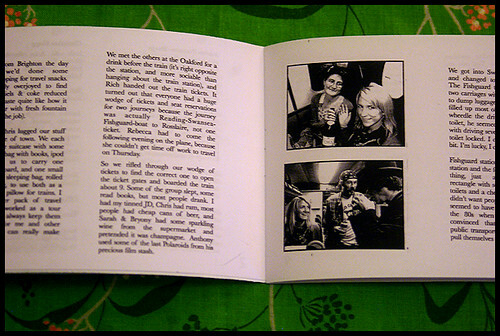 24 pages 1/4 size b&w. It’s $2/£1 on Etsy, plus postage to wherever you live (I’m in the UK). I love trading, but at the moment I can only afford to do trades within the UK, so international people, I’m afraid you international lovelies will have to order instead.